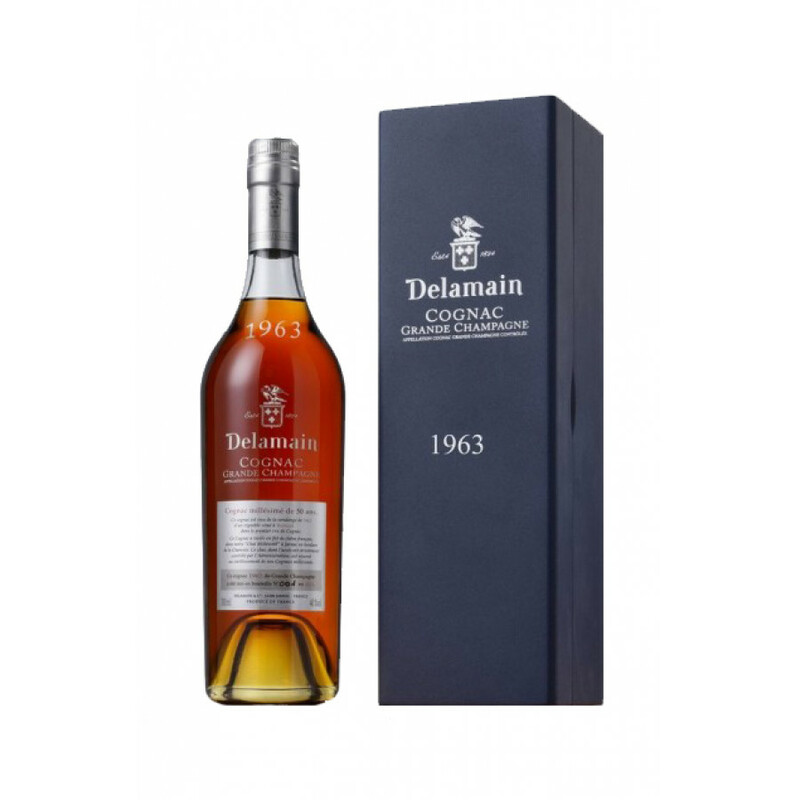 The Delamain Vintage 1963 Cognac is an outstanding, very old Grande Champagne vintage that will appeal to anyone who appreciates fine cognac. Produced in a strictly limited edition of only 180 bottles, it's a case of get it now or lose the chance forever! Powerful flavors abound in this aromatic cognac, solid proof of why Grande Champagne is the premier cru of the growing region. The initial taste is dominated by floral notes, giving way to tones of autumnal fruits such as walnuts, figs, and plums. Candied fruits and vanilla liquorice enter the melange, and - as one would expect from a cognac of this age - the finish is of a superb length with pronounced rancio. One for the connoisseurs.